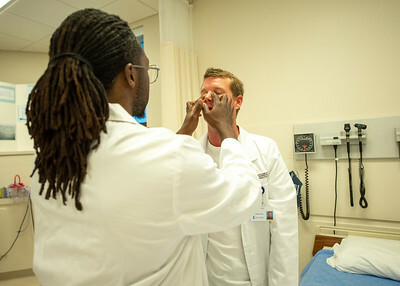 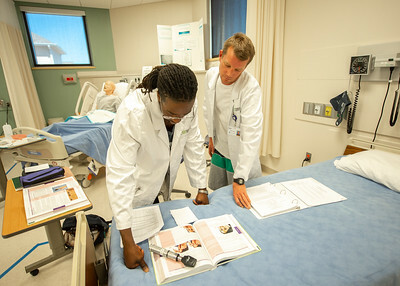 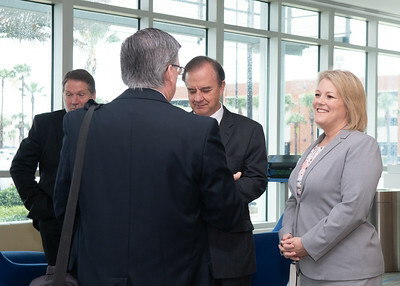 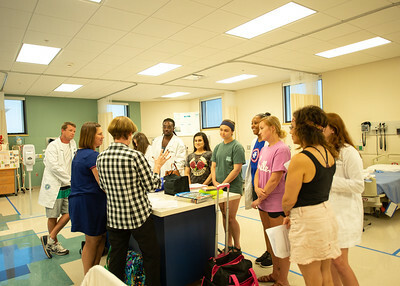 McAllen Waobikeze (left) and Steve Wright partner up as they conduct a physical examination lab. 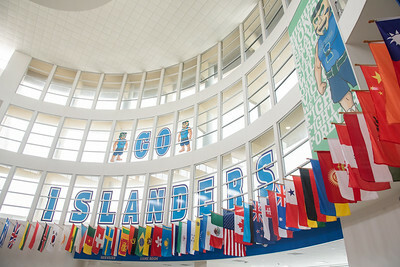 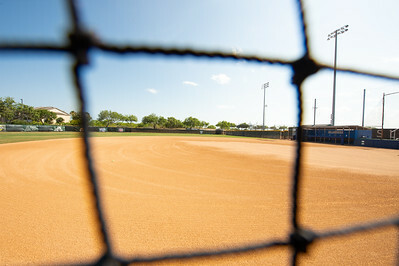 Check out this view of the Islander Softball Field. 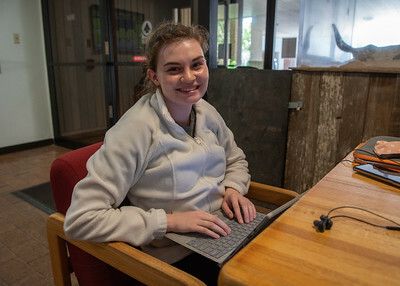 Hannah Curry works on her General Physics lap report in the lobby of the Center for Science. 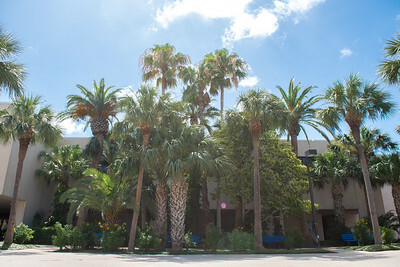 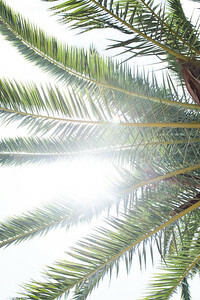 A unique view of one of the many palm trees found around campus. 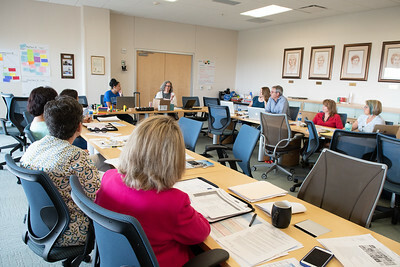 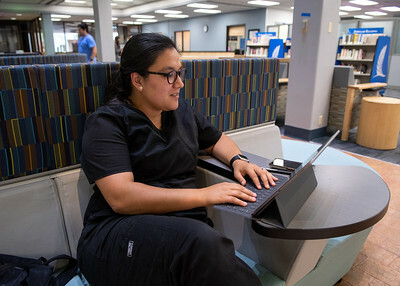 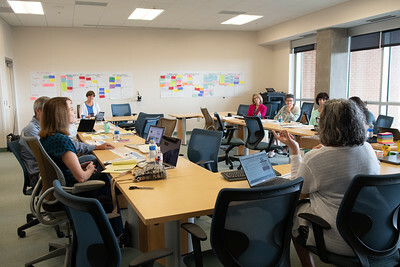 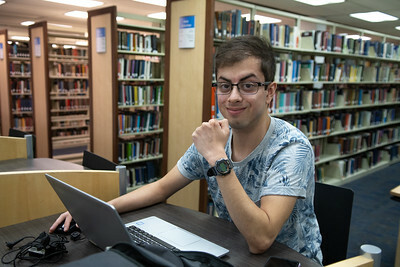 Cynthia Faragoza works on her assignments in the Mary and Jeff Bell Library's lobby. 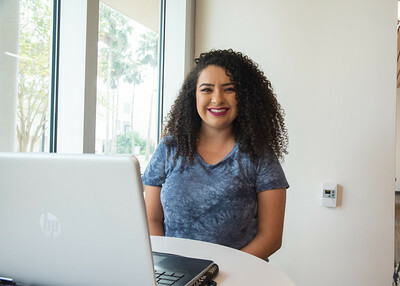 Lauren Apgar works on her assignments on the Starbucks Patio. Megan Hanes sits in the University Center Rotunda to work on her Calculus homework. 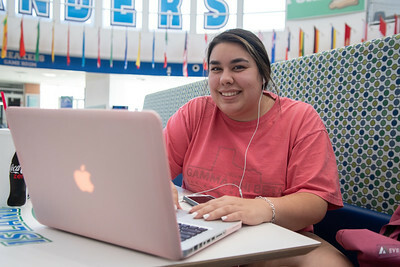 Kendall Moody works on hang cleans on the first floor of the Dugan Wellness Center. 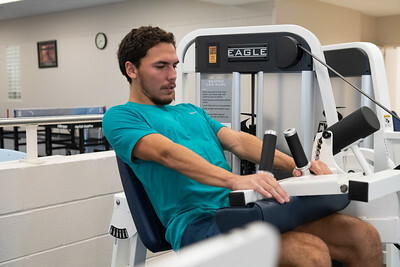 Sam Siquiros focuses on his leg curl-ups on the second floor of the Dugan Wellness Center. 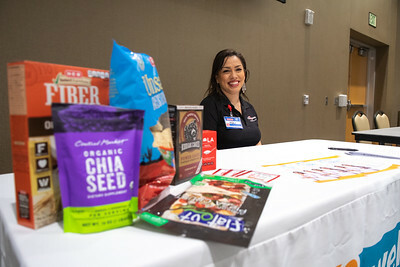 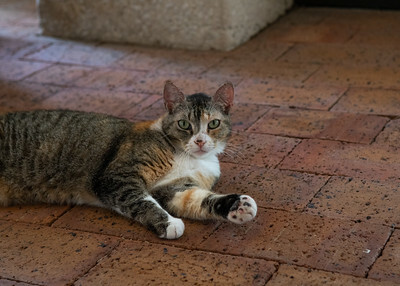 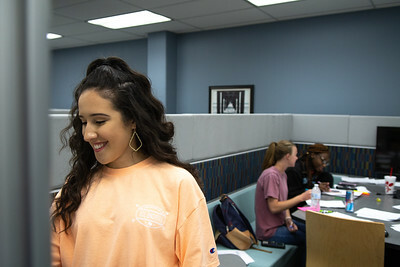 Jaclyn Maldonado waits for her next class to begin in the University Center Tejas Lounge. 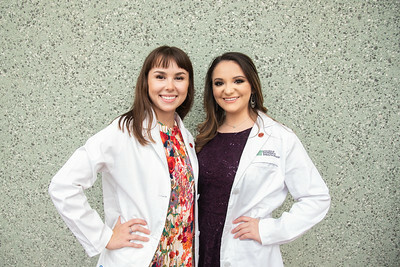 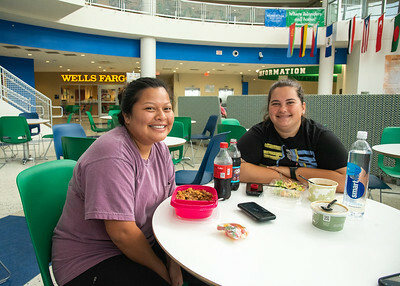 Jamie Matise (left) and Yulissa Heinlich stop to eat lunch in the University Center Rotunda before their next class. 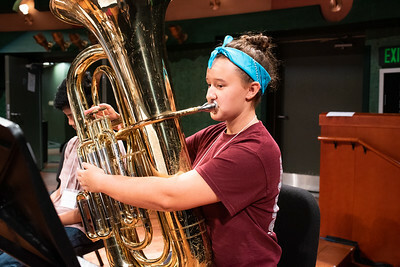 Natalie Albcecht performs "Creed" with her tuba as part of the Islander Band Camp rehearsal held in the Performing Arts Center. 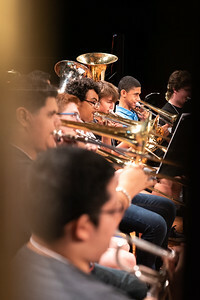 Islander Band Camp students play various pieces during their rehearsal in the Performing Arts Center.